Whether they mean to or not, the current crop of successful digital companies all have one thing in common: They’re also media companies. Video sells products, meaning that even if your brand doesn’t invest in TV commercials, it shouldn’t sleep on producing online videos. But here’s the key: It doesn’t matter to customers if the company likes these videos, if the clips star current employees, or if each installment is well-made. All consumers really want is to have their questions answered. Above all else, company content should be so information-rich that once it’s been viewed or read, customers know whether they’re in or out on a product or service. Video answers these questions better than almost any other sales tool, and it’s the preferred resource for customers researching products. A 2015 Animoto survey revealed that four times as many customers preferred watching a video about a product to reading about it. Video can be the most valuable sales approach your company isn’t using or is underutilizing. Buy into it, and not just with a couple of clips you hope will catch on and go viral. Your company should fully integrate video into its sales strategy with a clear and focused plan that speaks — and sells — to customers. Video should do more than just provide your service or product a visual platform; it should tell a story the viewer connects with enough to be sold on. For example, look at watchmaker Filippo Loreti’s video. Instead of emphasizing the timepiece itself, the clip focuses on the value of time and what a Filippo Loreti watch says about its owner. Customer-centric videos like this one can jump-start your sales by not only answering questions about features, but also instantaneously creating a relationship between the brand and its customers. To get there, focus your videos on accomplishing these three goals. As I’ve interviewed sales organizations around the globe, we have found a definitive pattern than salespeople spend about 80 percent of their time answering the same five to 10 questions. Use your first videos to answer those go-to queries in an easy-to-understand way. Even if only one-fifth of your potential customers watch, you’ll shorten the sales cycle and afford your team the time to focus on customers’ unique needs — thus more time selling, less time teaching. Check out this video for credit card company Final. In less than two minutes, it covers the basic questions a potential customer would have about the product. Each video should focus on one short, to-the-point topic, so you might need more than one video to address the full set of FAQs. Your top salespeople could probably write the script to each video in their sleep, so allow them to develop your priority topics. Here’s a motto I believe in: Your prospective customers should hear your voice and see your face long before you’ve heard their voices and seen their faces. Make a short bio video for the members of your sales team, and email it to potential customers ahead of face-to-face appointments. For example, Environmental Defence Canada’s video introduces its full team and uses animation to create a narrative that makes complex ideas seem fresh and accessible. You can also include this type of video in their email signatures. Doing so will build rapport long before the first handshake and entice potential customers to answer “the 80 percent” by watching other videos in your library. 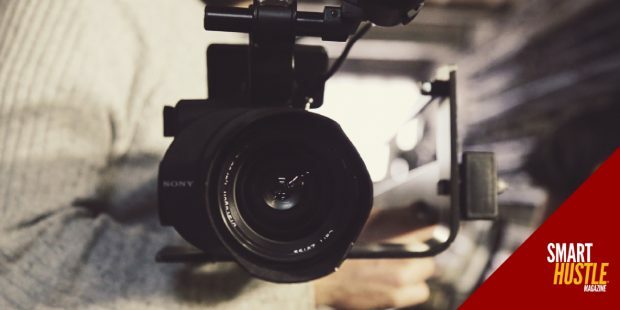 Your salespeople are product experts and will probably do well on camera, but if they aren’t, get permission to film an in-person appointment or two, then hire a professional videographer to develop a compelling story. Bring your service and product webpages to life. Examine how you’ve presented products and services on your company’s website. Does each of these pages have a specific video showing the viewer what he’s reading? If not, the time to start is now. No doubt you’ve spent a lot of time and money on your website, so don’t reinvent the wheel. Use what you already know to create your video content strategy. At the same time, boost the communicative potential of your major webpages by giving your audience options for how they learn. Embed videos to work side-by-side with web text and graphics. A good example of this is mHelpDesk‘s website. The automation software’s homepage uses introductory video, text, and graphics to give a complete overview of how its product works. Plus, customer videos describe real-life scenarios of how the product makes life easier. An informative, well-crafted video sells a product about as well as anything. Invest in video and realize the flexibility it can bring to your sales approach. With just a few clips, viewers can go from just casual observers to educated brand advocates who are ready to be closed. 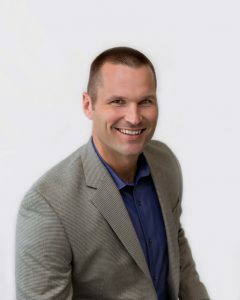 Dubbed a “web marketing guru” by The New York Times, Marcus Sheridan is the founder and president of The Sales Lion and author of “They Ask, You Answer.” Sheridan is also a highly sought-after speaker and a trusted voice in digital marketing and sales who consults with brands and companies trying to make a mark in their respective spaces.